Trip to the Moon…….. or was it Lancelin? Yesterday I spent an awesome day up at Lancelin with both Kirk and Neal. We hit Lancelin at around 5pm and we just knew that we were going to have an awesome photography session. After stopping off at the servo for some fuel and food supplies we took a quick look at the beach and then headed off into the sand dunes. It didn’t take us too long to work out that if we were going to get out of the car we had to point it into the wind first, otherwise the car would just fill up with sand. It took me two hours to get all the sand out today!!! Our biggest issue was that we had to watch out for other vehicles particularly motorbikes, and then secondly there were just so many dunes to photograph we didn’t know where to start, rest assured we tried to photograph every single one of them. We didn’t leave until 10pm and we got to Neal’s at 11pm where he unselfishly gave me his only beer in the house, after being in the sand dunes all day that beer tasted so good. I hope you enjoy this photo, I’ve got a stack more sand dune shots to come and I’m sure both Neal and Kirk do as well. This entry was posted in Australian Landscapes and tagged australia, beach, desert, image, Jamie Paterson, lancelin, landscape, long exposure, night, night photography, outback, panorama, panoramic, perth, photo, photography, sand dunes, sunset, western australia. Very damn cool capture Mr Paterson. Had an awesome time up there even with the insane amount of sand i was covered in. Next time maybe fingers crossed the winds will be a slight bit calmer. Brilliant! Although surely that’s not the moon, that’s Mars! pretty nice trip for yus. i now realize why you’d do it as a late afternoon trip like that. it’s only a hr driving time each way for you as oppose to my 2 hrs haha. was thinking yus were pretty keen to do it! still worth it by the look of it and i must add, whats the point of having a clean 4wd?? Hi Stephen. I got a wimpy softroader not a true 4WD so I had to clean it up for the city driving! hehe. Thanks for the comments. Was trying for more star trails, but a 4WD turned up with all its spotties on so I had to quickly stop the exposure. nice mate. 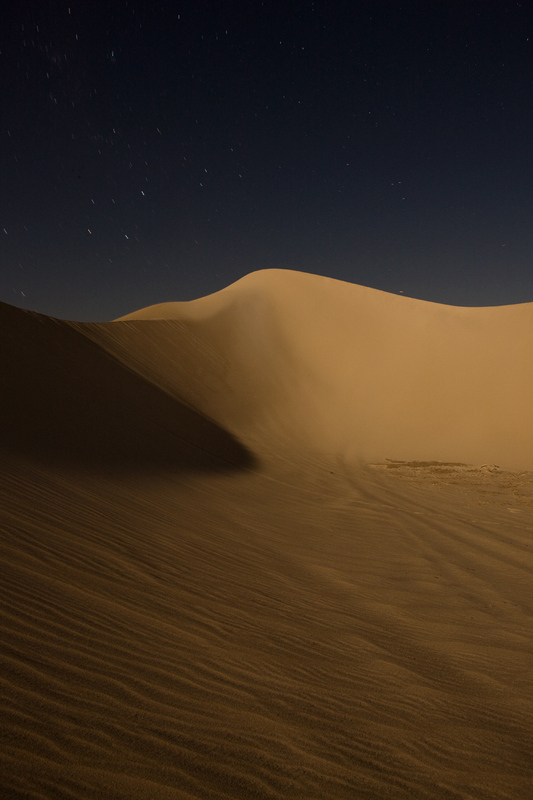 I have been shooting my night stuff with a tungsten white balance and it makes the sand nice and white. Would love to see this with a different WB. It has a nice feel still Jamie. Oh and thanks for the plug for the exhibition. Thanks for that tip. I’m heading up there again soon so I will try that out.